A Reddit user has spent more than $3,000 designing and manufacturing a custom small form factor PC case, which is the highlight of a build that's extremely powerful yet extraordinarily compact. Lukasz Dyjakon, an Australian who wanted the best possible compact gaming system, used the services of Protocase to create a custom PC enclosure for his powerful components. Measuring just 30 x 30 x 10 centimeters, the entire build is barely larger than an Xbox One console, which features relatively compact dimensions of 33 x 27 x 8 centimeters. This system is much, much more powerful than an Xbox One though. 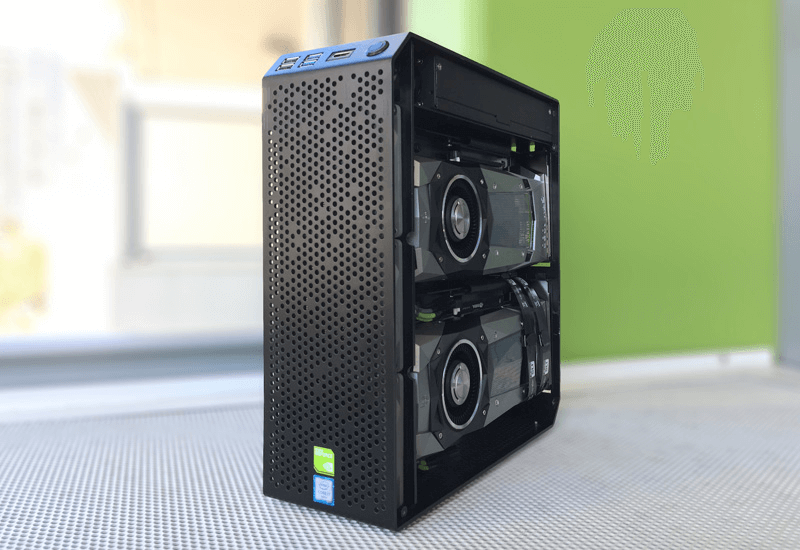 The case manages to cram in two Nvidia GeForce GTX 1080 Founders Edition cards in SLI, using the blower design to intake air from the right side and vent it out the back. The other side features the CPU, an Intel Core i7-6700K, along with 32 GB of DDR4, two SSDs for more than a terabyte of storage, and a slim Noctua cooler. The entire price of the system came to over 7,300 Canadian dollars ($5,600 USD), which is quite expensive for this sort of system. However, it's sure to be one of the most powerful systems of its size, and will complement a 4K monitor or television well. More images of the system can be found here, and there's a full part and price breakdown on the Reddit thread for this system.